It was inevitable that one day Scott and I would spend time in Strasbourg. You see, Scott loves Germany almost as much as I love France so, given Strasbourg’s history, this very French city which is full of German flavour is almost the perfect destination for us. 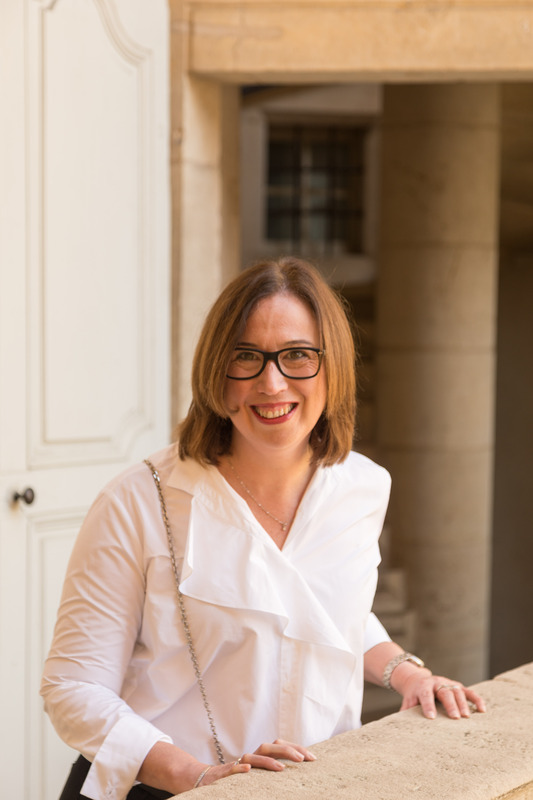 While we were confident that we would enjoy Strasbourg, I don’t think either of us expected the capital of the Alsace to be as beautiful as it has turned out to be. Seriously, Strasbourg is simply stunning. Ancient half timber houses adorn the old city – and where you don’t have fairytale style architecture, your senses feast on pink toned sandstone. 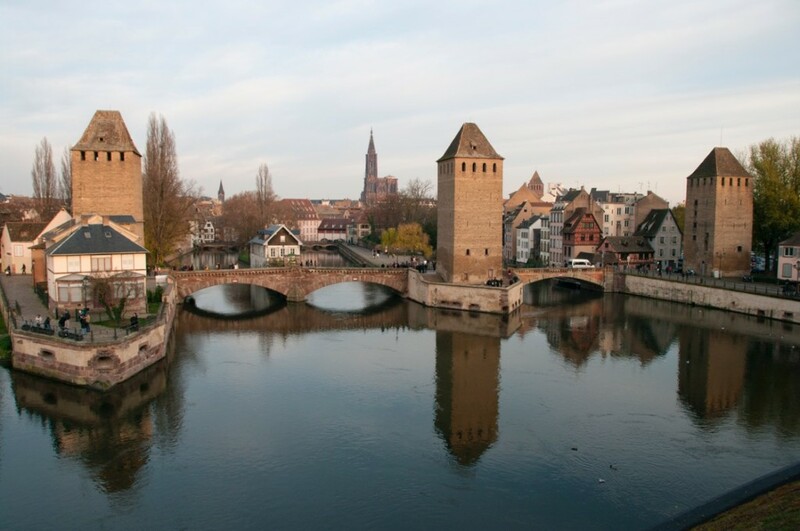 Strasbourg is definitely a town for walkers – it’s is the easiest way to get around – and you’ll see so much more. Cars and parking are actually quite rare in the centre. Having said that, if you do happen to get footsore, there are trams that zip around Strasbourg and bikes are easy to hire. What’s more there’s heaps of things to do in Strasbourg – here’s our top five, in no particular order. Visit the ancient, imposing Notre-Dame cathedral. Works started on this impressive gothic masterpiece in the 13th century and it is situated, unsurprisingly, right in the centre of the old town. Not that you will need directions to find it – it can be seen for miles and was, at one point in history the tallest building in the world. The cathedral is home to a richly decorated astronomical clock which is definitely worth stopping to examine. Take a boat tour on the river Ill. Grab yourself a seat on one of the many flat boats that circumnavigate the old city and take in the gorgeous views. At the same time, learn more about the history of Strasbourg via a very informative audio guide (take your own headphones if you prefer not to share headphones with fellow travellers). The hour long tour takes in all the historic sites but also introduces you to modern day Strasbourg as you glide past the European Parliament building. You can buy tickets for the boat tours just down from the cathedral right on the edge of the water. Visit La Petite France. This part of Strasbourg is as picturesque as it is ancient. Originally, the district was home to the city’s tanners – hence the proximity to the river and the number of mills in the area. Today it is simply a beautiful part of Strasbourg to wander around in. Don’t miss the view from the covered barrage. Taste the local treats – and be prepared – there are a lot of them. Choucroute, spätzle, Munster cheese and the local gingerbread should all be on your must try list. And don’t be afraid. I promise they all taste better than you can imagine. Visit the wine cellar under the local hospital. Yes, you read that right – there is wine cellar under the hospital – and it is full of wine. You can even view barrels from the time the cellar was established – way back in the 14th century. While we didn’t taste or buy any wine you could have done both on the day we visited. If you are a reader of on-line reviews, don’t be put off by suggestions that the cellar is difficult to find. Head in through the main entrance of the hospital at Place de Hopital, veer to your right and look for a large entrance sign above a flight of stairs. Shoot down those stairs and you’ll find yourself in the medieval cellar. Have you ever visited Strasbourg? Do you have any more ‘must visit’ attractions for fellow travellers? If so, we’d love for you to share them in the comments below. Thanks for this article. Strasbourg is my dream city. I am a total francophile as well and have become good in speaking French. I’ve starter work inf. On German too, so a city so a part of both words where both languages could be heard and practiced is like a dream world for me! Oh Larry – you absolutely have to visit Strasbourg. It is a perfect blend of French and German and you would definitely get to practice your language skills!